I have been using the YSL Touche Eclat Blur Primer pretty much every day for the last three months, and while on holiday I ran out. So I thought I would try to repurchase it and it was one of those moments when I got excited that I could buy it, that I never looked at the price. I can buy this primer for £29 in the UK and Sephora was charging $52 (which I didn't notice until I got back to the hotel). I could have returned it but I didn't want the hassle, so from then on I made sure to check the price of every single item in Sephora before purchasing it. I found that a lot of the European makeup brands were so much more expensive than what they are in the UK, especially YSL. I love this primer, not only does it smell amazing, but it helps to blur some of my pores whilst leaving a radiant glow to the skin. There are little gold flakes in the primer, but when it is applied to your skin, they seem to disappear. The Touche Eclat Blur Primer is expensive at $52, especially when I can get it for £29, (meaning with the conversion rate at the time I spent around £40), but it is amazing and helps to make my skin look amazing. 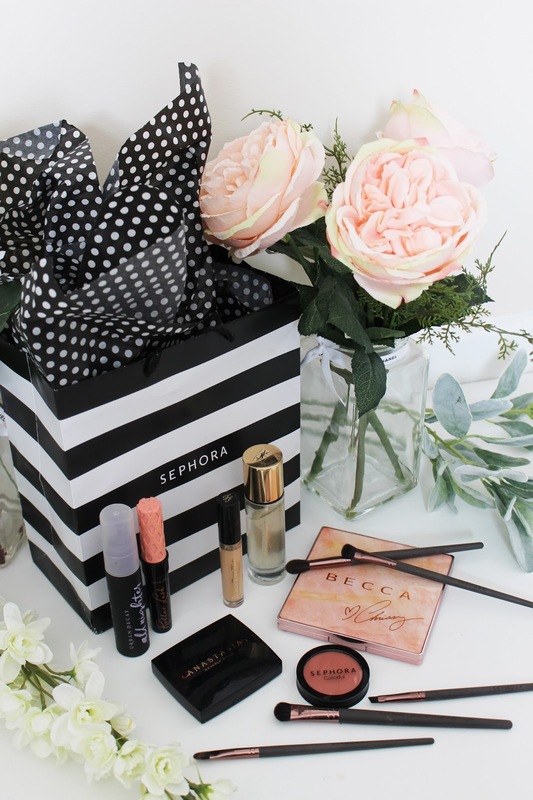 When I was packing my makeup bag for my holiday, I knew that I didn't want to take too much makeup (mainly because I was planning to go to Sephora) as I prefer to go for a more natural look when I am on holiday. I only bought one foundation stick with me for when I went out in the evening and I had planned on using a concealer as my foundation for during the day. 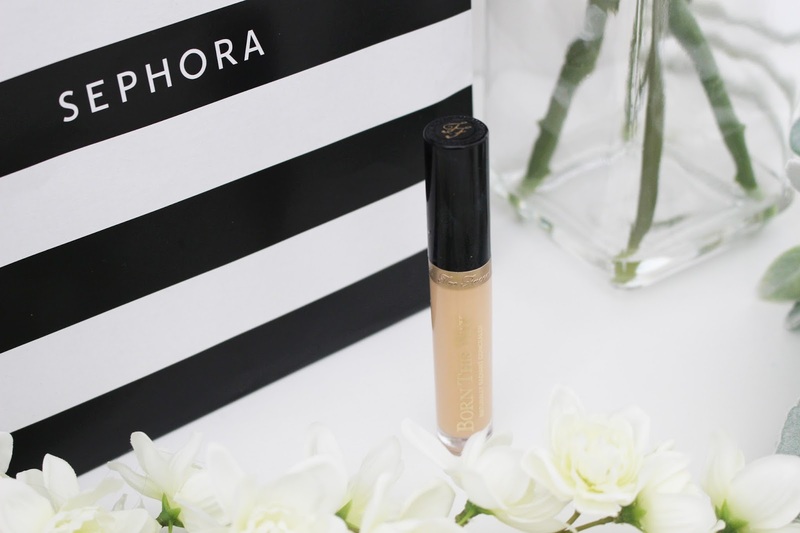 I had brought with me the Too Faced Born This Way concealer, but in too light a shade. It was fine for the first few days but as I started to tan it was way too light, so I decided to buy this concealer in a darker shade. I ended up buying Light Medium (but at the end of the holiday I could have got away with a slightly darker shade). 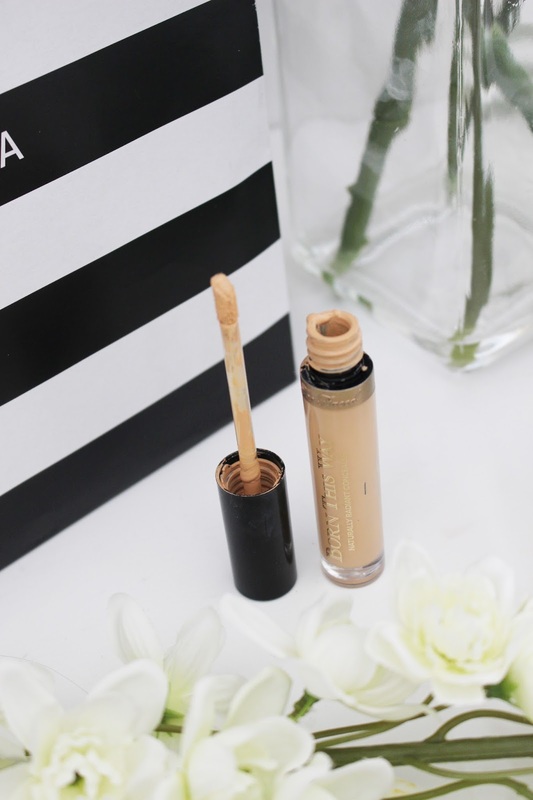 I love this concealer for those days when I do not want to wear foundation. This will give me a really good coverage but it won't look heavy and will look very natural on the skin. It is really creamy and blends so easily to make my skin look amazing. I really like this concealer, but I only use it as a foundation, and the Born This Way Concealer is $28, which I think is a great price especially if you do use it as a foundation like me. It is perfect for taking on holiday, as it gives coverage without being too much. I really wanted to buy a few item from Sephora's own brand (and now looking at everything I bought, I only got a few items) but one product I wanted to buy was one of their blushers. 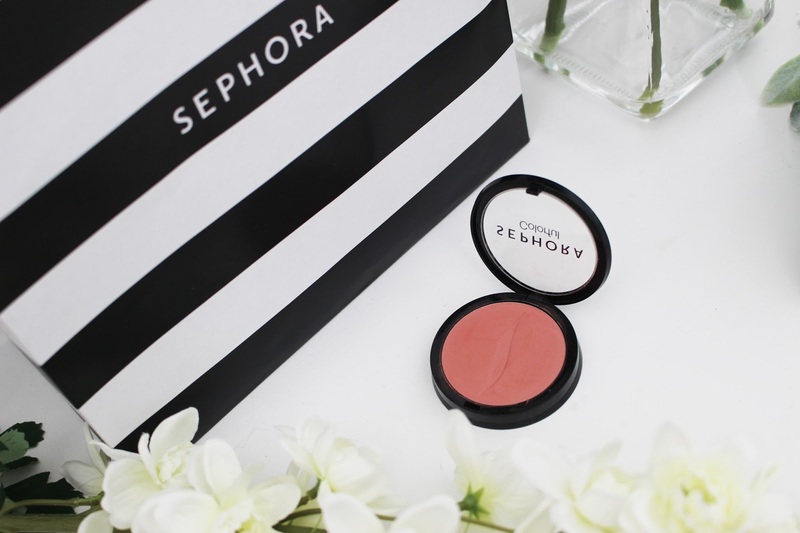 I don't own that may blush products in my makeup collection and most of them are from Benefit, so I really wanted to try a couple of new blush products from Sephora. I only purchased one as I wanted to see what the formula was like and I really wish I had purchased more. There was so many shades to choose from but I decided to go for a really wearable dusty rose shade, called Shame On You! 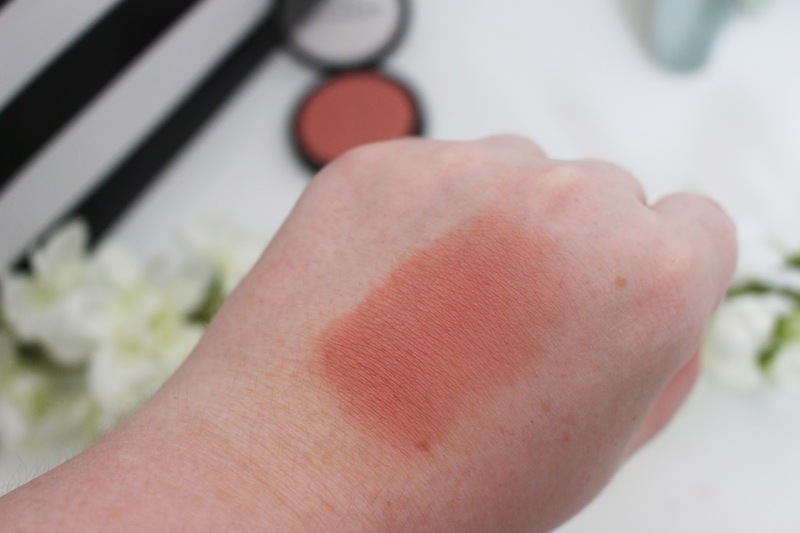 I love the formula of these blushes and they are so pigmented; you only have to lightly tap your brush into the pan to get a beautiful colour to the cheeks. They are so easy to blend out and I am definitely going to have to order some more of these blush as they are amazing and such a great price. The Colorful Blush Powders are only $14 and are just as amazing as some high-end blushes I own. On one of the first nights in Hawaii, I could not sleep because of jet lag and I was up at 3am, so I decided to watch some videos on YouTube. 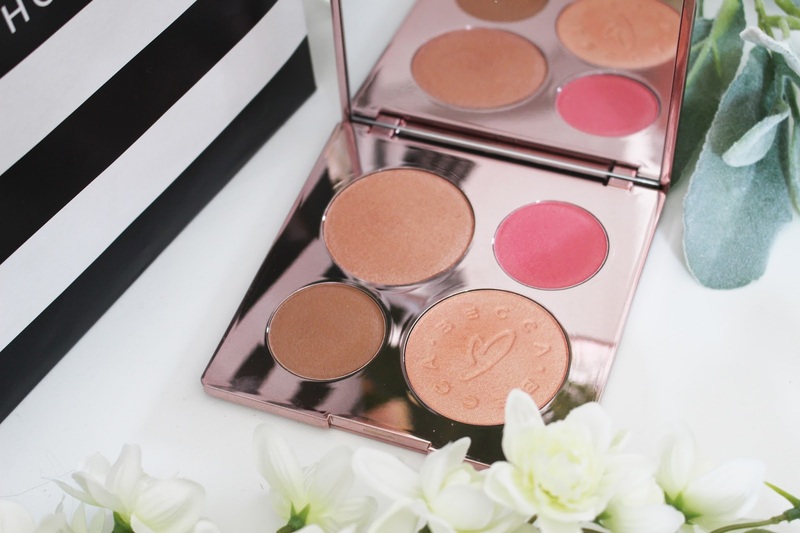 Someone I really like to watch is Tati Westbrook, who is amazing at makeup and I believe she was doing a makeup tutorial of first impressions, and one of the products she used was a blush trio from Anastasia Beverly Hills in the shade Peachy Love. This blush looked amazing so of course I had to go and buy it for myself. I got the exact same shade that Tati used as I do love wearing more peachy shades on my cheeks, especially when I have a tan. 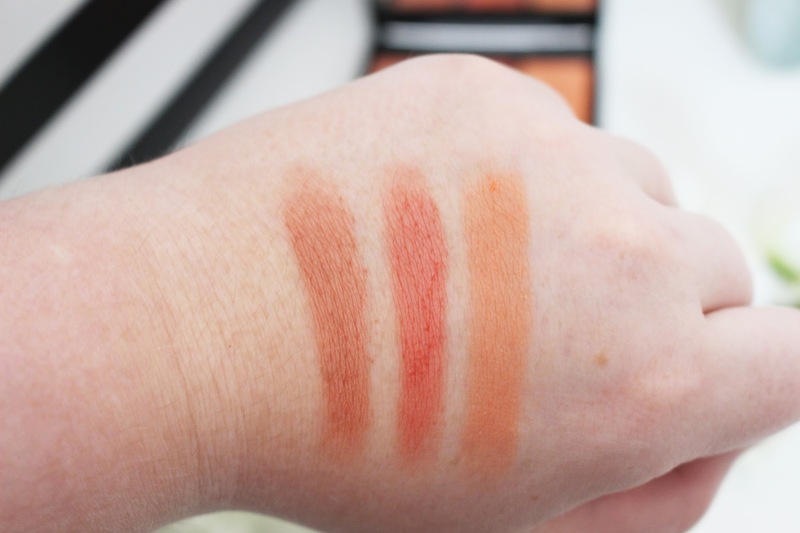 At first in the pan they look so bright, especially the orange shade but when swatched they do become a lot more muted and look more natural on the cheek. 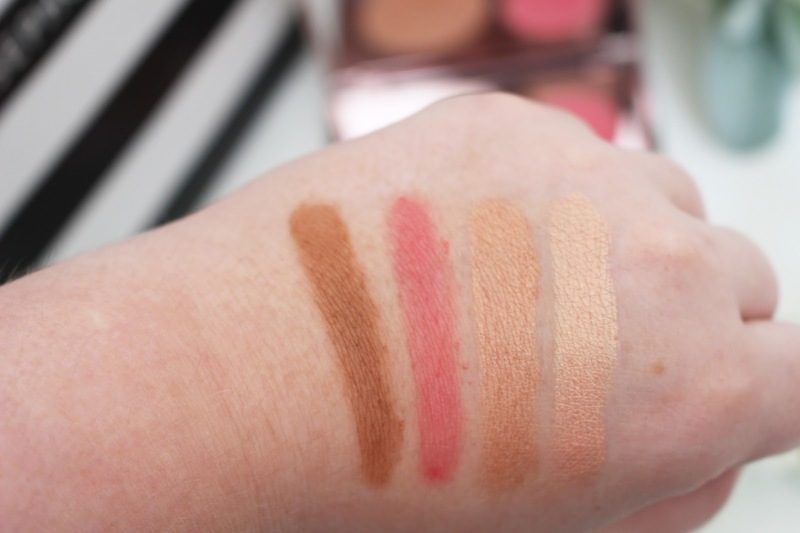 I love the formula of these blushes and I think they are so pigmented. Every time I wear this blush, I get complimented on it and people will ask me what I am wearing on my cheeks. 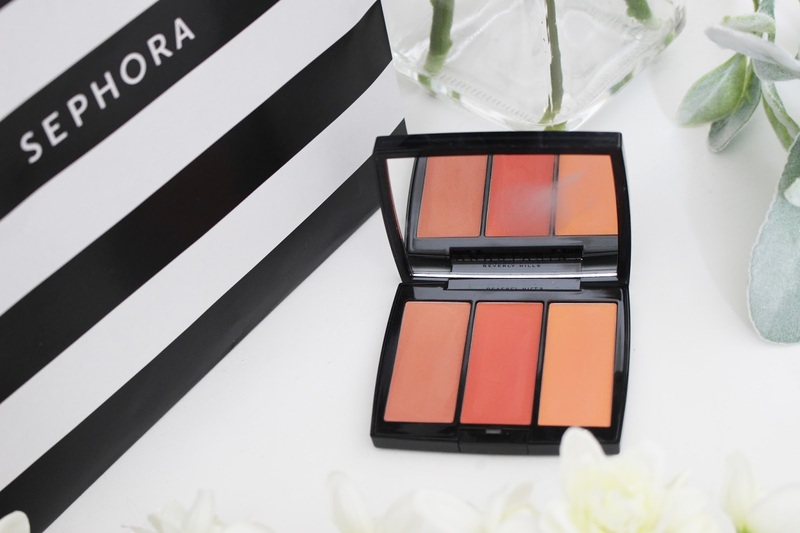 I love the fact you get three blushes in this palette and you can use them individually or you can sweep your brush across all three to give a beautiful peach glow to the cheeks. The Blush Trios are $30 which I think is a really good price as essentially you are getting three blushes at $10 each. 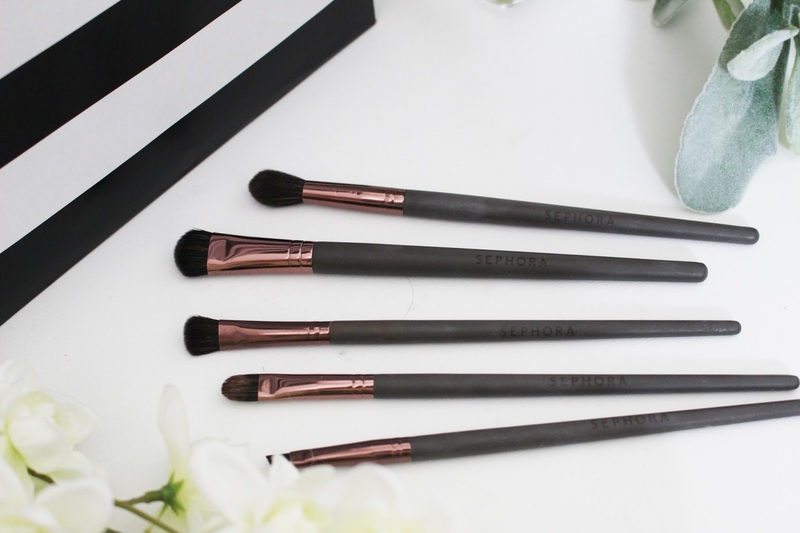 I will definitely be getting some more of these blush trios as they are stunning. 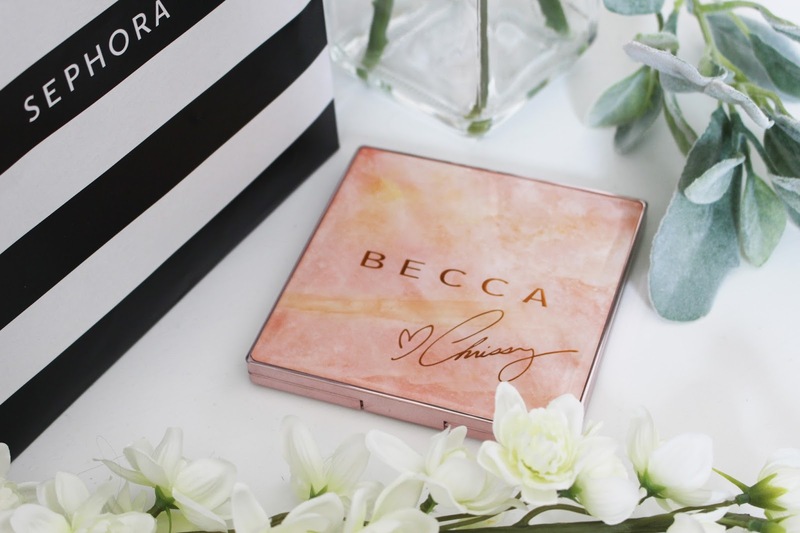 I remember when Becca released their collaborative face palette with Chrissy Teigan that I really wanted to buy it as it looked stunning. I was going to buy it from Cult Beauty (which if you are in the UK is a site that sells makeup and I know this palette is still in stock at the moment) but when it was released I just never ordered it for some reason. I then assumed that it would still not be in stock so didn't bother looking, but when I went into Sephora, I was surprised to see that they still had the Becca X Chrissy Teigan palette. I swatched it on my hand and knew I had to pick it up for myself. 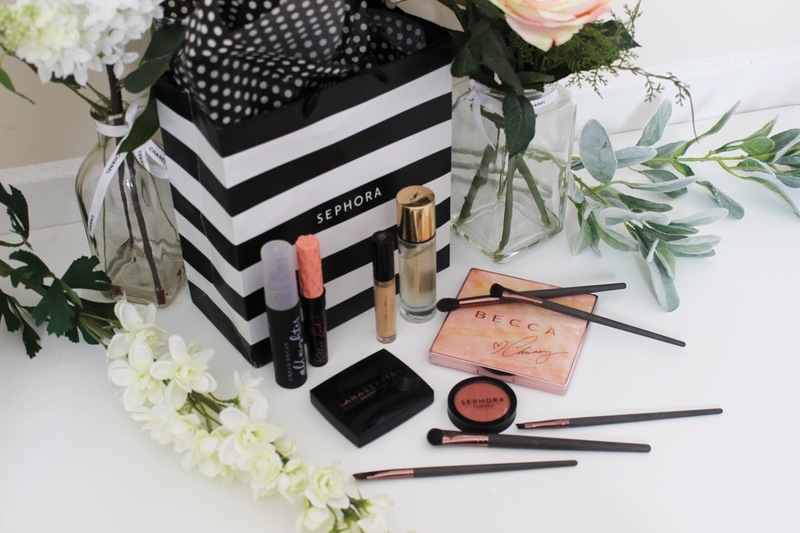 Of course Becca are well known for creating beautiful highlights, and Champagne Pop is one of my favourites. In this palette you get two highlighters in the shades Rose Gold and Beach Nectar, a bronzer in Malibu Soleil, and a Blusher in Hibiscus Bloom. Every single product is stunning, however the highlighters are shades that I will only be able to wear when I am tanned, however I could use them as blush toppers. They blend out beautifully and are perfect for when you want that sun kissed look, I just can't wear the highlighters when I am at my palest. The Becca X Chrissy Teigan Glow Face Palette is still in stock on the Sephora website and retails for $46. Now, when I first really got into makeup, I remember my first high-end makeup item being Benefit's They're Real Mascara. Now I don't think Benefit is as high-end in comparison to YSL, Giorgio Armani, Hourglass and other brands, but Benefit is still expensive. They're Real was my holy grail mascara for the best of a year and then I realised there were other mascaras out there that I liked more. 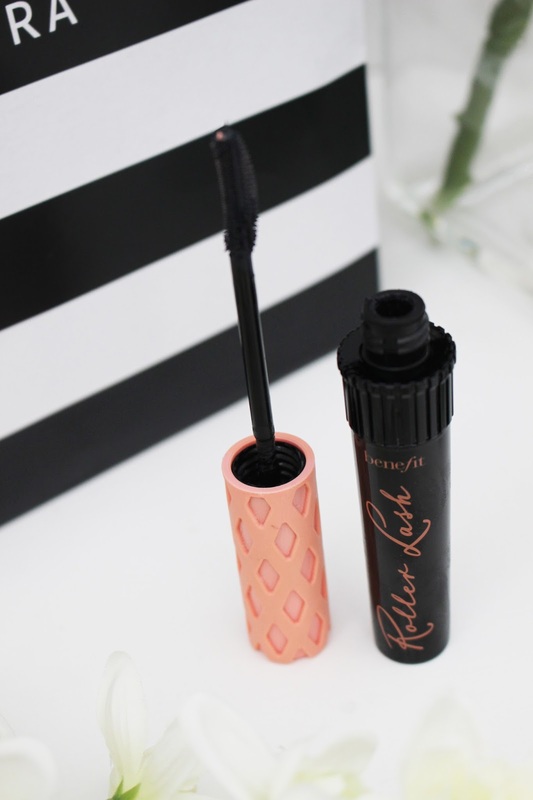 So when Benefit brought out Roller Lash a couple of years ago, I wasn't fussed about buying it. Also I'm not someone who wants to spend a lot of money on mascara as there are some amazing mascaras from the drugstore. 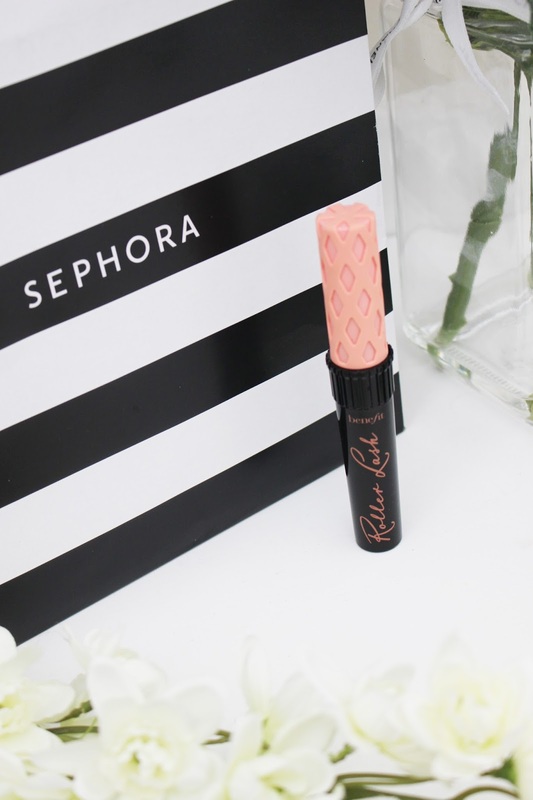 But while I was in Sephora, I was looking at the Benefit stand and I saw Roller Lash and thought I would buy it to see what it is like. I actually prefer this mascara to They're Real, as it looks more natural and doesn't clump my lashes together. Would I say this is a must-have in someone's collection, probably not as I think there are great mascaras from drugstore brands but I do like this mascara a lot. Benefit's Roller Lash Mascara is sold at Sephora for $24. Urban Decay's All Nighter Setting Spray is one of my favourites; I have bought so many bottles of this spray in the last couple of years. 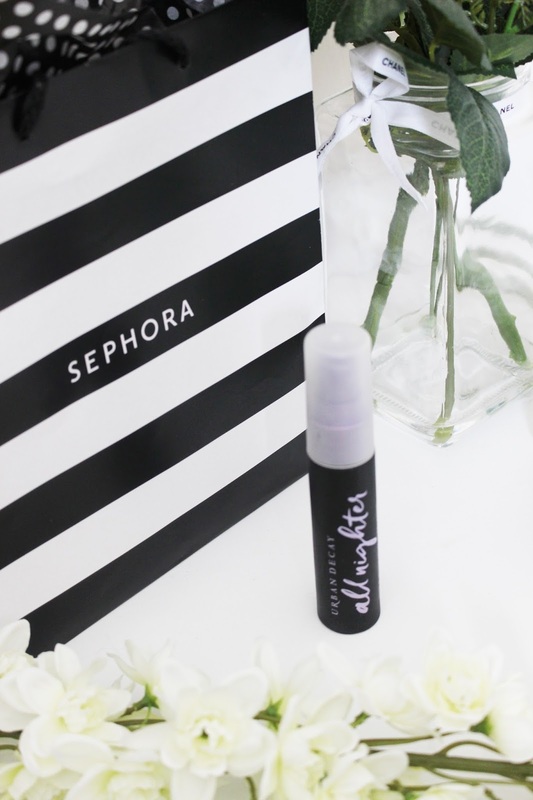 I feel like this is the only setting spray that really makes my makeup long lasting. 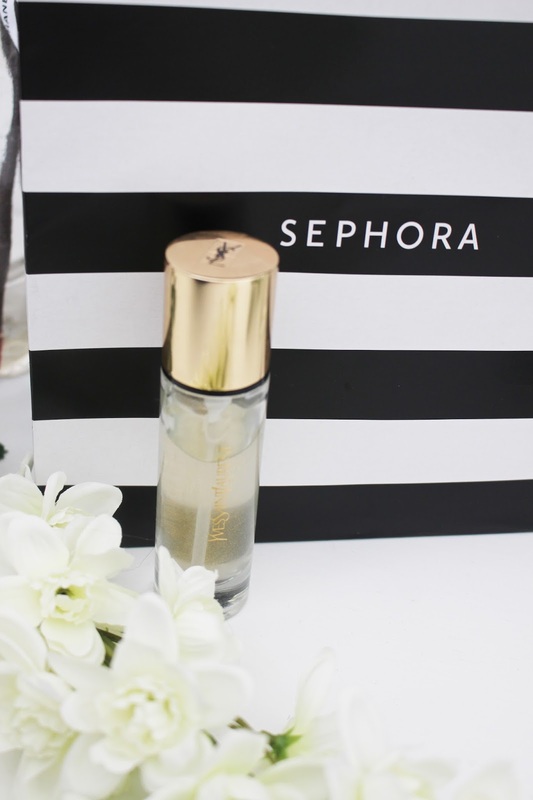 At first, I wasn't a massive fan and I would use it every now and again (I would sometimes find that the setting spray would leave droplets of water on my face). But I then watched Nikki Tutorials video on how she makes her makeup last where she had met a makeup artist who had taught her how to make any setting spray work. To make this work even better all you have to do is set your makeup with the setting spray and immediately fan your face with either a piece of card or anything you can find. 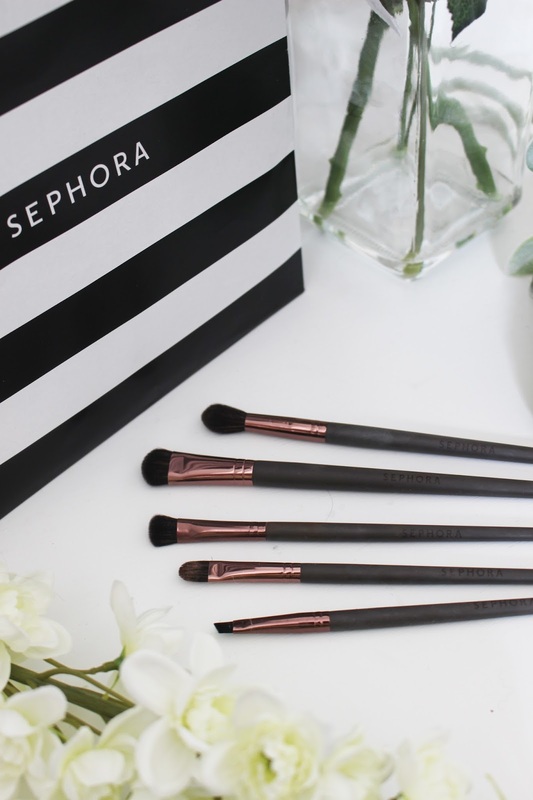 This will help to lock in the makeup and make your makeup look flawless all day long. I hadn't bought a setting spray with me and even though I wasn't wearing much makeup, it was very hot, and I didn't want the makeup to run so I decided to buy a travel size of the All Nighter Setting Spray which was $15, and the full size was $32. 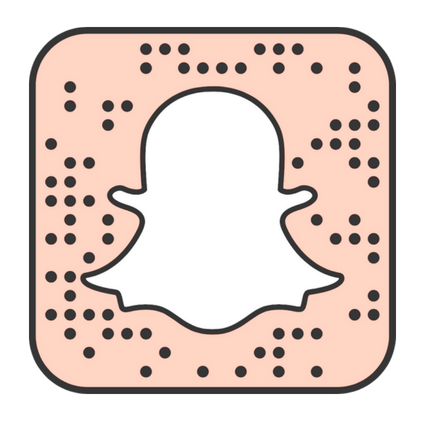 Let me know in the comments if you have tried any of these products? 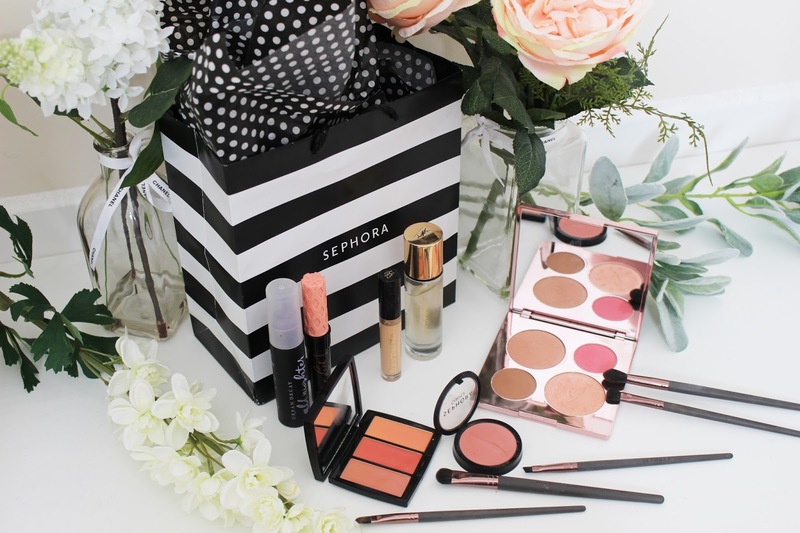 And let me know what your must have face products are from Sephora and why?